... imagine waking to the most spectacular ocean views on the Pacific coast. Think of spending your day enjoying a round of golf, surfing magnificent waves, riding horseback along the shore or simply relaxing with a picnic and a bit of beach combing. premier vacation resort, a beautiful Spanish Colonial community nestled on 3.5 miles of stunning Pacific coast and less than an hour away from Managua (International Airport), making Gran Pacifica the most easily accessible of Nicaragua’s oceanfront resorts. offer privacy and tranquility with just a short stroll to the Pacific Ocean. The Gran Pacifica Beach & Golf Resort in Nicaragua combines the luxury of North American beachside living with the down-home feel of an old-fashioned community. 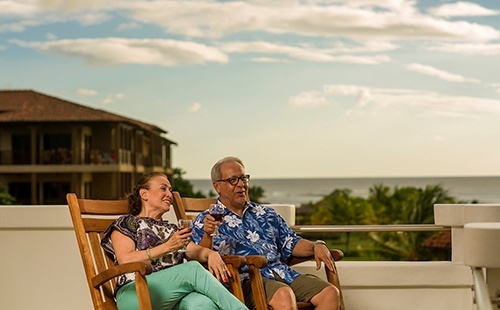 Gran Pacifica has several types of ready-to-buy Nicaraguan properties, all nestled in a community with first-class amenities and a modern infrastructure for your convenience and peace of mind. lower cost of living for residents and visitors.